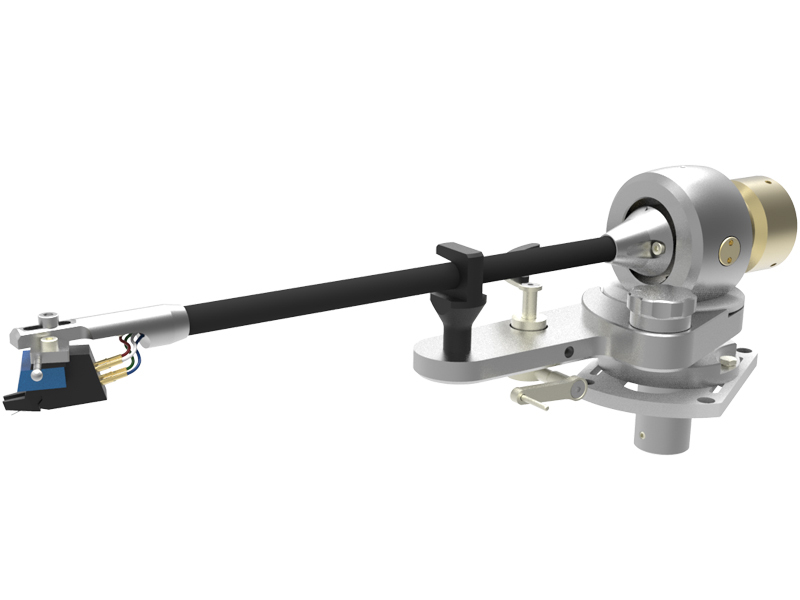 After almost 20 years in which we have exclusively manufactured turntables we now added a new division. Since October 2014, we produce our own tone arms. 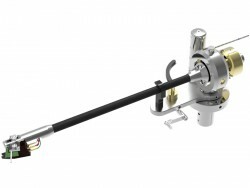 Fine mechanic instruments produced to highest standards exclusive made in Germany. The new TA-2000 is the "big-brother" of the extreme successful TA-1000. He uses the same great sounding armtube but has a more rigid and massive Bearing housing. And also uses the Antiskating mechanism of the big arms. 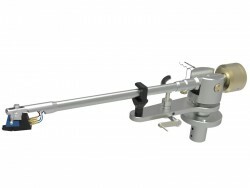 In recent years, the number of providers of affordable tone arms declined steadily and existing arms were regularly getting more expensive. The result is the TA 2000. 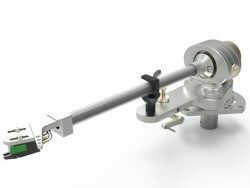 A precisely manufactured prtecision-bearing tone arm. 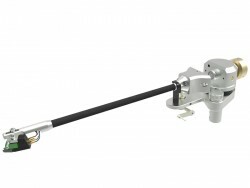 The TA 2000 is available in 3 lengths 9 inch, 10 inch and 12 inch. when you consider that the signals of a pickup are very small you can well imagine, any interruption and each solder joint makes the signal worse. So we have gone for the cabling of the TA 2000, to a Teflon insulated 6N copper cable which is continuously from the cartridge pins to the RCA plug. Without any interruption - in one piece. 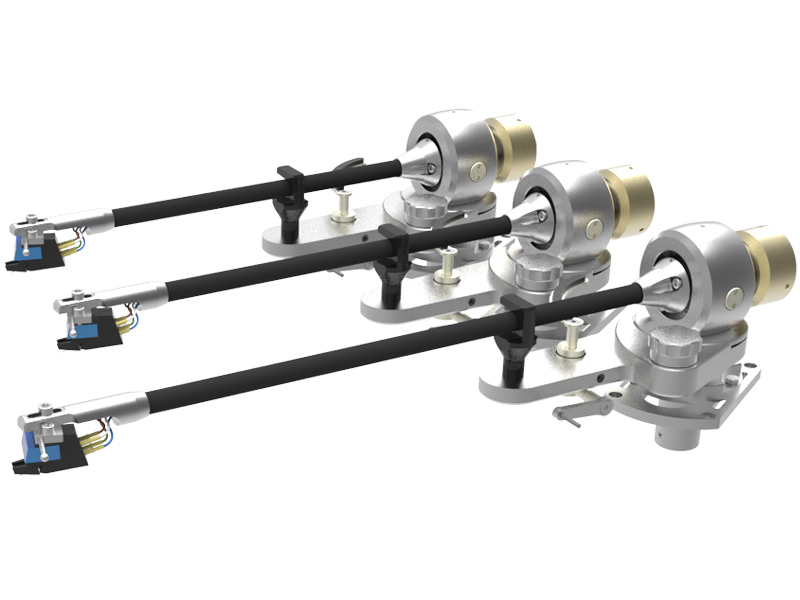 For customers who like to try different cables the TA 2000 is also available with 5 pin connector in the arm shaft. To set up a pickup perfect it is required to compensate the possible misalignments of the diamonds and herewith do a proper adjustment of the angle. Many tone arms do not have this possibility. At the TA 2000 it can be done very comfortable and the solution is also very rigid and solid so we do not lose sound quality. At the end of Armtube shortly before the Bearing there is a adjustment option. 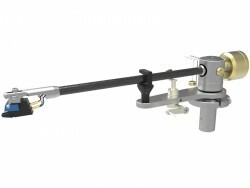 For this you simply open 2 small screws and then the arm tube can be turned for ± 5 degrees so the angle can be adjusted perfect for each cartridge. If these screws are again tightened the arm tube sits stiff and perfectly adjusted.